Regular Amazon shoppers are probably quite familiar with the e-tailer’s e-mail blasts that highlight things you might want based on previous purchases and the things you’ve searched for on the site. 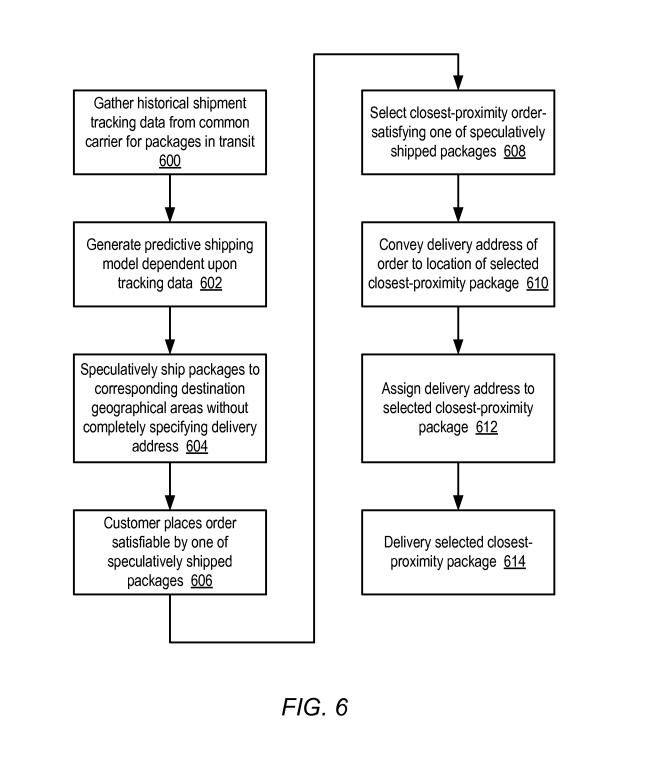 But what if Amazon went one step further and actually predicted the things you will buy and shipped them in advance? The online giant applied for just such a patent back in Aug. 2012, and the U.S. Patent folks granted the patent last month, on Christmas Eve of all days. 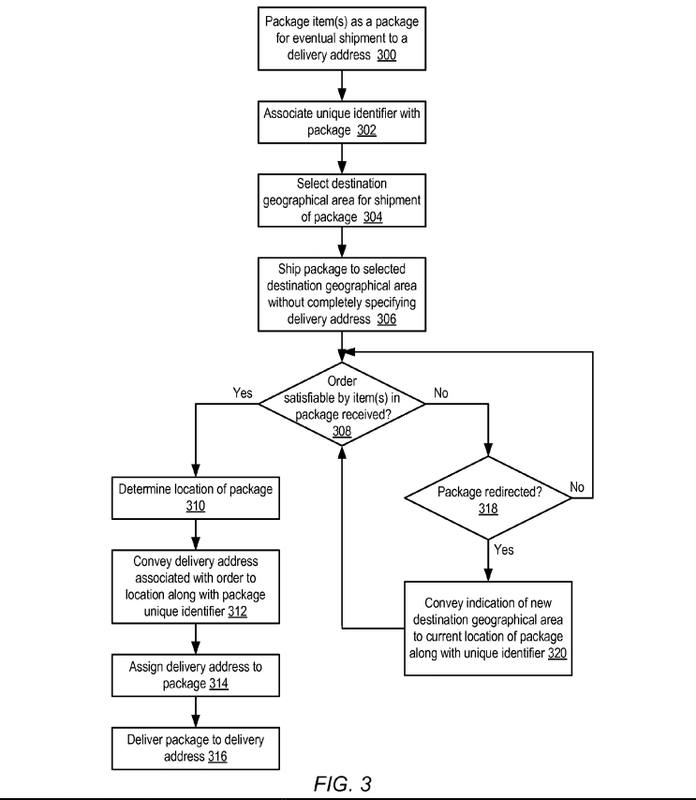 The patent outlines the many, many ways in which Amazon’s “Anticipatory Package Shipping” could expedite the shipping process by getting items it believes customers will order to nearby distribution centers in advance of their being ordered. So it’s less like mind-reading and more like the restaurant who knows you order the veal every Tuesday when you come by at 6:30, so it has everything ready to go. 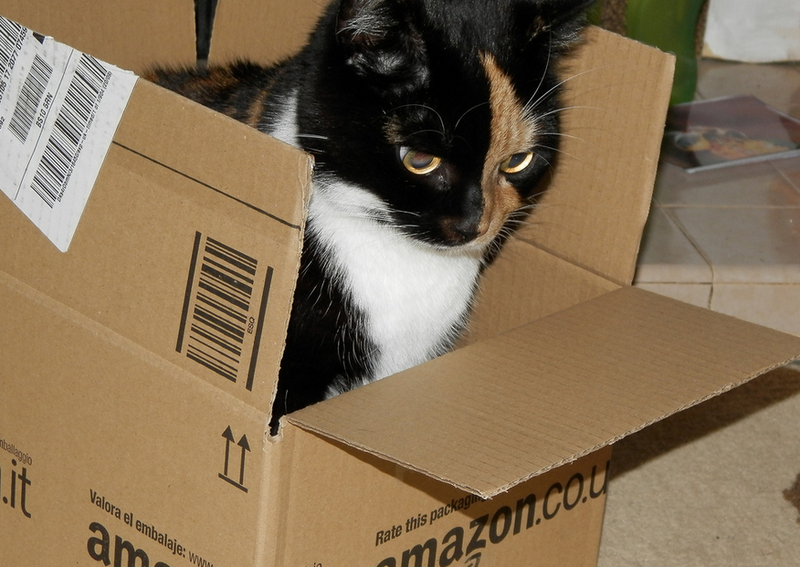 The idea is ultimately to save Amazon money on shipping. Think of all the money it spends on one- or two-day air-shipping, especially for Amazon Prime customers in order to make delivery dates. If the company could bulk-ship predicted purchases to local distribution centers, that to-the-home delivery would be via cheaper ground shipping. In some cases, depending on customers’ proximity to a local center, same-day delivery is both logistically and financially feasible for Amazon. 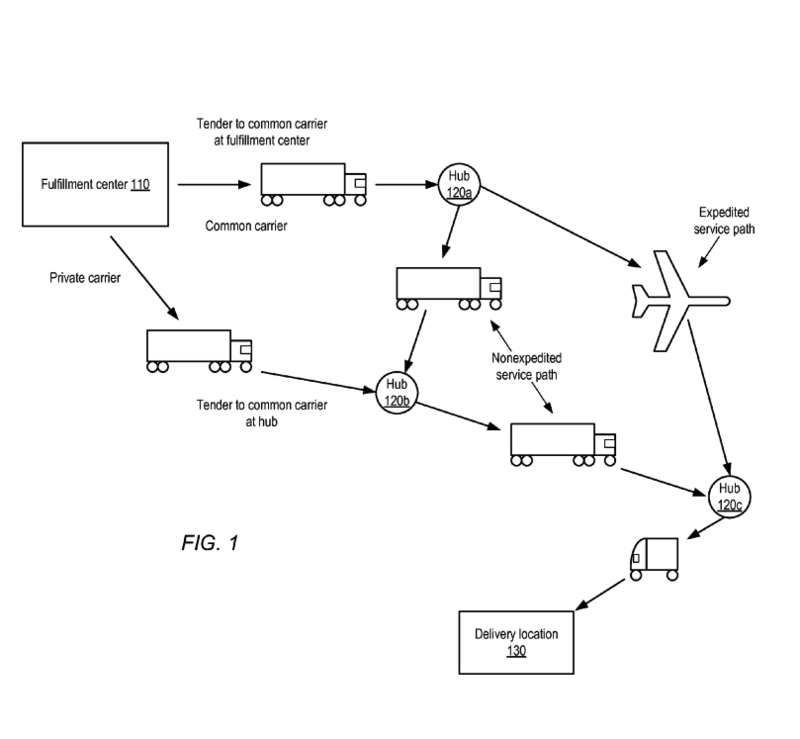 So if Amazon sees a big video game title coming up for release and its computers figure out that there are certain customers who are likely to order release-day delivery of new titles, it may pre-ship enough copies to local centers so that they can be delivered via ground transport rather than Amazon having to pay for express delivery from one of its main distribution centers. Among the many things that gets factored into the process is the cost for returning pre-shipped items to the warehouse. In some cases, it may just be less expensive to give some items away “as a promotional gift used to build goodwill” than it would to return them.